24-Sheet Package — Tissue paper, 20" × 30" (508 mm × 762 mm). 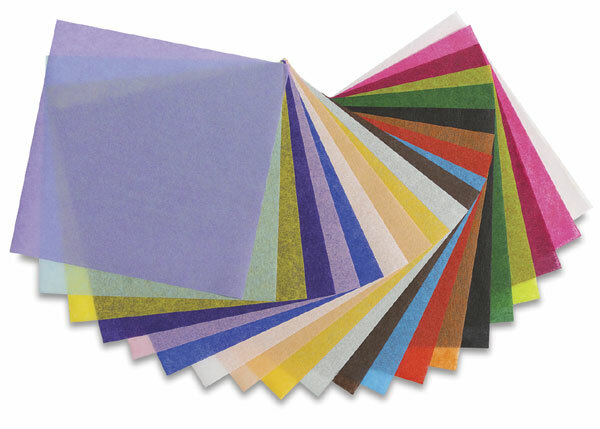 50-Sheet Package — Tissue paper, 12" × 18" (305 mm × 458 mm). 480-Sheet Ream — Tissue paper, 20" × 30" (508 mm × 762 mm).